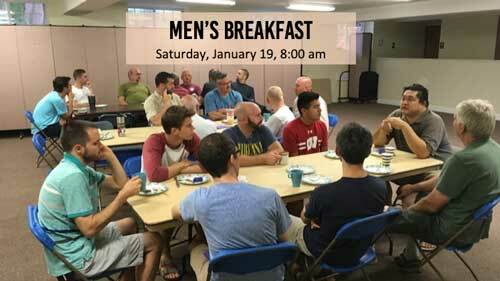 The Men's Ministry is hosting our January gathering on Saturday, January 19 at 8:00am. This month we will be hosting a Men's Breakfast at the church. We will have plenty of food and coffee, as well as an opportunity to meet and hear from one another. We desire to have Men’s Ministry be a place for all the men in our church to connect with one another and take one step closer to Jesus together. Come join us, even if you have to be a little late. If you feel like you don’t know the other men in the church well, don’t let opportunities like this pass by! Newer PostYouthCenter heading to Unspoken Concert!